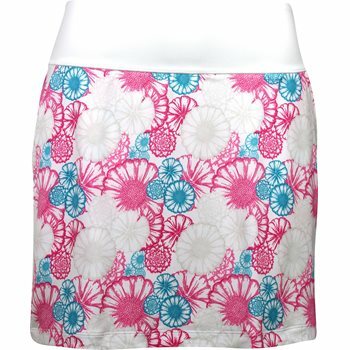 Puma's PWRShape Blossom skort features a fun, sublimated floral pattern and a PWRShape slimming, high-bonded waistband so you can look and feel good when you take your game to the next level. The gripper tape secures your shirt tail and the inner shorts provide extra coverage when you bend down. You will stay dry throughout the skort is made with polyester and elastane, offering a comfortable fit; movement with ease; durability for machine washing; and resistance against shrinking and wrinkles.